After a security incident in February at its Australian subsidiary, Toyota Motor Corp. has suffered its second security breach in the last five weeks, with today's breach announced by the company's main offices in Japan. 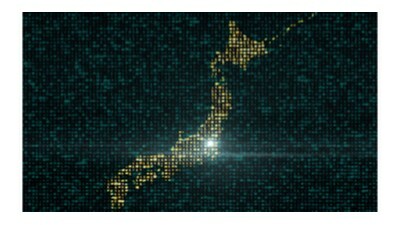 "On March 29, 2019, it was announced in Japan that Toyota Motor Corporation (TMC) learned it had possibly been the victim of a cyberattack targeting Toyota Tokyo Sales Holdings Inc., a TMC sales subsidiary, and its affiliated enterprises. Additionally, three other independent dealers in Japan are possibly involved. Toyota Motor North America (TMNA) is monitoring the situation closely and is currently unaware of any compromise of TMNA systems associated with this incident or evidence that Toyota or Lexus dealers in the United States have been targeted," Toyota Motor North America said in a statement. "In light of the Toyota security breach, it’s clear that automotive manufacturers need to be aware that as their technology continues to evolve there are more responsibilities involved to protect the consumer," said Amir Einav, VP of marketing at Karamba Security. "As car manufacturers are set to collect more data than ever before on drivers and vehicle behavior there is more personal information at stake. Following Toyota’s second breach in the last five weeks, there is a greater sense of urgency in the automotive industry around the need to take preventive cybersecurity measures, from the cloud to the in-vehicle technology." After researchers discovered an SQL injection vulnerability in Magento’s code, the company issued a security fix for more than 30 different vulnerabilities in its software, which reportedly has put more than 300,000 e-commerce sites at risk of card-skimming attacks. Online businesses have been strongly urged to download the latest fix, warning that versions prior to 2.3.1 Magento code are vulnerable and being exploited in the wild. According to the March 26 Magento advisory, "Merchants who have not previously downloaded a Magento 2 release should go straight to Magento Commerce or Open Source 2.3.1. To quickly protect your store from this vulnerability only, install patch PRODSECBUG-2198. However, to protect against this vulnerability and others, you must upgrade to Magento Commerce or Open Source 2.3.1 or 2.2.8. We strongly suggest that you install these full patches as soon as you can." With a common vulnerability scoring system (CVSS) severity rating of 9.8, PRODSECBUG-2192 would allow "an authenticated user with privileges to create newsletter or email templates that can execute arbitrary code through crafted newsletter or email template code." No proof of concept yet exists, but exploitation is relatively easy according to Satnam Narang, senior research engineer, Tenable. "Magento site owners should upgrade to these patched versions as soon as possible. 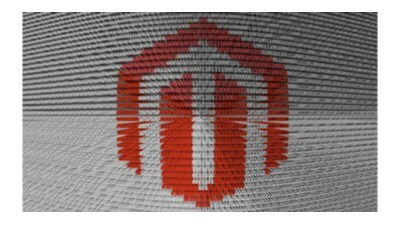 Magento e-commerce websites have been a popular target for cybercriminals for years, so the existence of an unauthenticated remote code execution bug certainly won’t go unnoticed." Instead of credential dumps, criminals are using stolen credit card dumps that can result in immediate financial losses for consumers and fraud losses for merchants, said Ameya Talwalkar, co-founder and CPO, Cequence. "This is a unique case of an application vulnerability being exploited for business logic abuse. We’ve detected and blocked similar attacks to this that have targeted our own retail customers. This particular attack is very similar to credential checking attacks on login applications using malicious automation or bots." "Normally retail applications do not allow for $0 transactions, but due to the newly discovered vulnerability in Magento, it allows these $0 transactions and opens the door for checking stolen credit and gift cards for validation." At this week's Black Hat Asia 2019 conference, researchers from Positive Technologies revealed findings about an undocumented technology in Intel microchips that allow reading data from the memory of and intercepting the signals from peripherals. 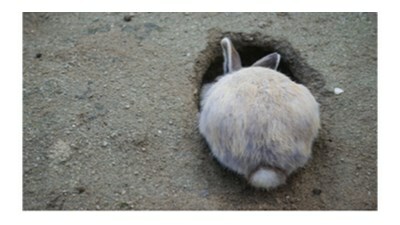 On March 28, 2019, Positive Technologies experts Maxim Goryachy and Mark Ermolov spoke in Singapore, discussing the microchips in their session Intel VISA: Through the Rabbit Hole. The PCH microchips (Platform Controller Hub) on modern Intel motherboards reportedly contain a logic signal analyzer called Intel Visualization of Internal Signals Architecture (VISA), which are disabled by default on commercial systems. However, the researchers discovered several different tactics an attacker could use to activate the technology that has access to virtually all the data on a computer. The researchers were able to intercept signals on displays, keyboards, and webcams. "With VISA, we succeeded in partially reconstructing the internal architecture of PCH and, within the chip, discovered dozens of devices that are invisible to the user yet are able to access certain critical data," the researchers wrote. In their talk, the experts demonstrated "how to read signals from PCH internal buses (for example, IOSF Primary and Side Band buses and Intel ME Front Side Bus) and other security-sensitive internal devices." Leveraging the previously identified vulnerability INTEL-SA-00086 in the Intel Management Engine (IME) discovered by researchers at Positive Technologies, Goryachy and Ermolov demonstrated that a malicious actor could attack the computers by injecting spyware in the subsystem’s code. "ME can intercept and modify network packets as well as images on graphics cards; it has full access to USB devices. Such capabilities mean that if an attacker finds an opportunity to execute arbitrary code inside ME, this will spawn a new generation of malware that cannot be detected using current protection tools. Fortunately, only three (publicly known) vulnerabilities have been detected in the 17-year history of this technology," the researchers wrote. "We found out that it is possible to access Intel VISA on ordinary motherboards, with no specific equipment needed," said Positive Technologies expert Maxim Goryachy, according to a press release. "With the help of VISA, we managed to partially reconstruct the internal architecture of the PCH microchip." 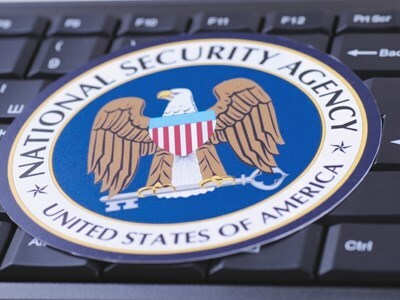 A former NSA contractor has pleaded guilty to stealing top secret government documents over a two decade period, putting national security at risk. Harold Martin III, of Glen Burnie, Maryland, confessed to “willful retention of national defense information,” having previously denied all charges against him, and will now serve nine years behind bars, according to the Department of Justice. Former US Navy man Martin worked at multiple private contracting companies from December 1993 to August 27, 2016, gaining clearance to handle Top Secret and Sensitive Compartmented Information (SCI). He’s thought to have taken as much as 50TB of data over a 20-year period starting in the late 1990s and ending with his arrest in 2016, storing them at home and in his vehicle. It has been reported that Martin may have been linked in some way to the infamous Shadow Brokers data dump of classified NSA hacking tools. He is alleged to have tried to communicate over Twitter with Russian AV firm Kaspersky Lab, sending five cryptic private messages requesting a meeting with founder Eugene Kaspersky, stating what he had to discuss had a “shelf life” of three weeks. Just 30 minutes after the messages were sent, the Kremlin-linked Shadow Brokers began PR-ing their haul, according to Politico. Kaspersky tipped off the FBI about the messages, which resulted in a major raid on Martin’s home in which were found the stolen classified documents — apparently including some of the same hacking tools leaked by the Shadow Brokers. “This case shows that there is still work to be done when it comes to stopping criminals before they have a chance to actually steal large amounts of data over extended periods,” said Mohan Koo, Dtex Systems founder and CTO. Though backup is a known best-practice approach to IT risk management, many companies are overwhelmed by the number of sites that need to be backed up, according to a new survey released today by Barracuda Networks. 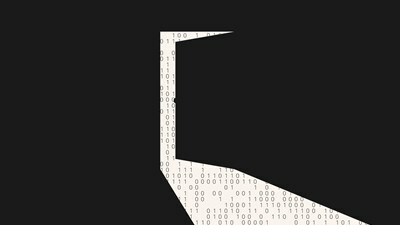 The study, Closing Backup and Recovery Gaps, asked more than 1,000 IT professionals, business executives and backup administrators about their data protection strategies and found that despite a desire for business continuity, organizations still struggle to take all of the necessary steps to fully secure their business' data. According to the report, the rise of multi-cloud and multi-site environments has resulted in 57% of respondents saying they have to back up more than two sites for their organization, while 7% of respondents manage backups for more than 26 sites. "When you combine this data with the new push for multi-cloud deployments, it’s clear the simpler days of companies managing a single site and on-premises architecture are a thing of the past. This makes remote management a key consideration for any backup and recovery solution, to help save valuable IT time and effort during day-to-day tasks and urgent recovery efforts," the report said. When looking at the number of small to medium-size businesses (SMBs), over 60% have migrated to Office 365. Of those, 40% are not using backup tools because they assume their cloud provider handles backup and disaster recovery. Databases (91%), email (68%) and proprietary application data (62%) are the most common types of data that respondents said they are backing up, but the report found that, "Increasingly, everything is deemed mission critical." A large number of respondents (37%) are backing up multimedia data, and more than a quarter (28%) back up research and development data. "However, of some concern is the small number of respondents (16%) wanting to back up their SaaS data. This inaction is putting their business continuity at risk," the report said. Despite the risk management capabilities of cloud backup, over half (59%) of respondents do not plan to migrate on-premise services to the cloud, with only 18% of respondents reporting that they are currently migrating. In a coordinated vulnerability disclosure released today, researchers at SecureAuth said they had found multiple vulnerabilities in Pydio 8 (version 8.2.2) that would grant access to a malicious actor who could then escalate privileges and get administrator access. Pydio reportedly released a fixed version last week. With privileged access to the application, the attacker could then leverage a separate vulnerability. Using the privileges of the user account running the web server, an attacker could perform OS command injection in ImageMagick plugin. In addition, SecureAuth found a cross-site scripting in file view feature and two information disclosure vulnerabilities in unauthenticated Pydio and PHP libraries. An attacker with administrator access and exploiting the OS command injection could access any file being synchronized and shared. 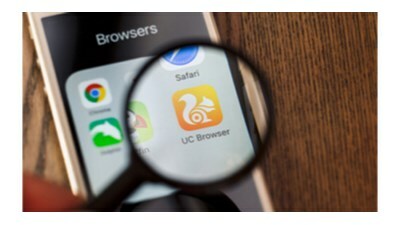 According to the advisory, the privilege escalation vector, CVE-2019-10049, is based in multiple vulnerabilities, and "by chaining vulnerabilities it is possible for an attacker with regular user access to the web application to attempt to trick an administrator user to open a link shared through the application." Security researcher Ramiro Molina from SecureAuth security consulting services discovered the vulnerabilities, and Leandro Cuozzo from SecureAuth advisories team coordinated with Pydio in the publication of the disclosure. "While important to productivity, file-sharing services that host, store, share or synchronize files across devices are targets for attackers due to the highly sensitive data that these files often contain – including business plans, financial information and even passwords," said Leandro Cuozzo, security researcher, SecureAuth. "Research from McAfee shows file-sharing services store 39 percent of all corporate data uploaded to the cloud including highly sensitive information. Even though 64 percent of documents in file sharing services are not shared, they are still accessible by administrators. In this case, an attacker with administrator access and exploiting the OS command injection could access any file being synchronized and shared in a Pydio implementation. "In addition to applying the latest patches, organizations should implement adaptive authentication to improve security and limit access to sensitive information in file-sharing services." 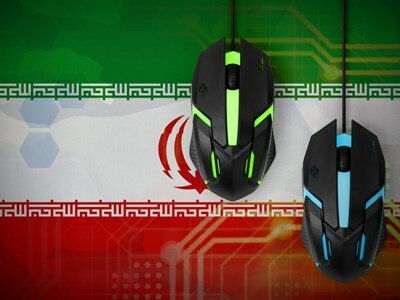 Unsealed court documents reveal the work of Microsoft’s Digital Crimes Unit (DCU) in targeting the Tehran-linked APT35 group, also known as Charming Kitten and Phosphorous, according to VP of customer security and trust, Tom Burt. 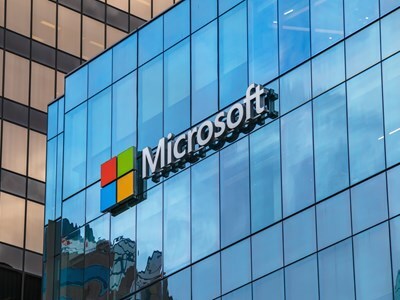 A court order allowed the unit to take control of 99 phishing domains — including outlook-verify.net, yahoo-verify.net, verification-live.com, and myaccount-services.net — which were used to harvest victims’ credentials. “The action we executed last week enabled us to take control of 99 websites and redirect traffic from infected devices to our Digital Crimes Unit’s sinkhole. The intelligence we collect from this sinkhole will be added to [Microsoft Threat Intelligence Center] MSTIC’s existing knowledge of Phosphorus and shared with Microsoft security products and services to improve detections and protections for our customers,” explained Burt. Burt thanked these other tech firms for their assistance, as well as the domain companies that were required to transfer websites registered by APT35 to Microsoft, under the court order. While these efforts will certainly not put an end to the state-backed group’s activities, it will help the white hats discomfort their opponents a little whilst obtaining some valuable intelligence on their activities. The group has been detected in the past targeting businesses, government agencies, activists and journalists with information-stealing raids. It’s a similar tactic used by Microsoft to disrupt the notorious Russian APT28 (aka Strontium) group, which has been blamed for info-stealing attacks on Democratic Party officials ahead of the 2016 US presidential election. Burt claimed Microsoft had used the approach 15 times, controlling 91 spoofed websites registered by the Kremlin-backed group. Security researchers have warned of a new wave of attacks on Middle Eastern companies from APT33, a group with links to Iran. Known as “Elfin” and “Refined Kitten,” the group has been in operation since 2015, using a combination of custom malware, commodity malware, and open-source hacking tools. In a new wave of attacks in February, the group tried to exploit a known vulnerability (CVE-2018-20250) in popular file archiving utility WinRAR. Having gone undetected for nearly two decades, the bug is particularly dangerous as there’s no automatic update mechanism for WinRAR, which is installed on hundreds of millions of machines around the globe. “If successfully exploited on an unpatched computer, the vulnerability could permit an attacker to install any file on the computer, which effectively permits code execution on the targeted computer,” Symantec explained. The Elfin group usually begins its attacks with a classic spear-phishing email, and then proceeds to download and use a combination of custom and widely available malware/tools. These include the Autolt backdoor; RATs such as Remcos, DarkComet and Quasar; and credential stealers like Mimikatz and SniffPass. Saudi Arabian targets account for 42% of total attacks since 2016, but the US is a close second with 34% before a big drop off with Belgium (6%) in third. 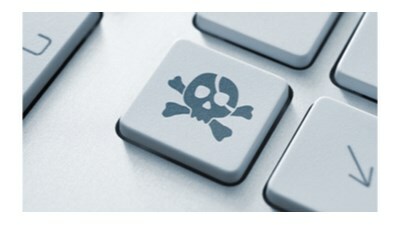 That WinRAR vulnerability, discovered in February, has also been exploited in multiple campaigns spotted by FireEye. These include one using a phishing email impersonating an educational accreditation council; an attack on an Israeli military company; and a possible attack against an individual in Ukraine using a PDF letter from former president Viktor Yanukovych and the Empire backdoor as primary payload. “We have seen how various threat actors are abusing the recently disclosed WinRAR vulnerability using customized decoys and payloads, and by using different propagation techniques such as email and URL,” warned FireEye research scientist Dileep Kumar Jallepalli.